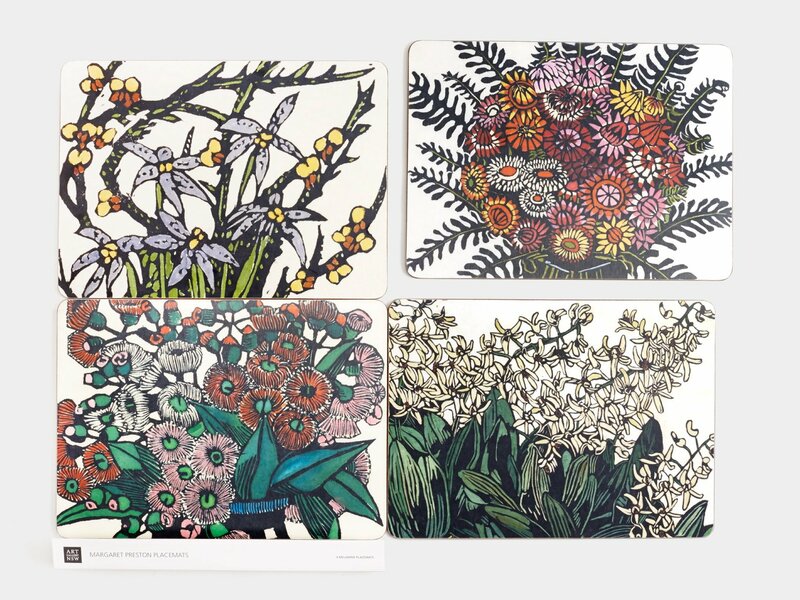 Four melamine placemats featuring four different floral details from Margaret Preston hand coloured woodcuts. 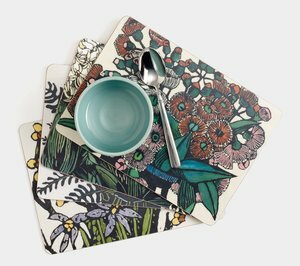 Designed in Australia and Exclusive to the Gallery Shop. Cork Backed. Heat resistant to 145 degrees centigrade.